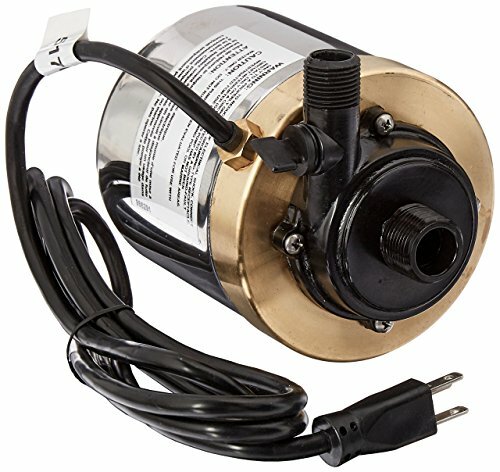 Little Giant 517011 Stainless Steel 1200GPH Pump with 6-Feet Cord, Bronze | Fountain City Art Ctr. These premium stainless steel and bronze pumps provide quiet operation and trouble-free use in freshwater, saltwater, chlorinated or brominated water (3-5ppm). They can also be used in hot water applications up to 110 degree F. Use submerged or in open air below water level for ponds, water gardens, medium to large fountains, water displays, waterfalls, streams and for aeration.